Flamedrop and The Bioscope present South Africa's best Music Film Festival in Johannesburg! Do you know what real R&B is? 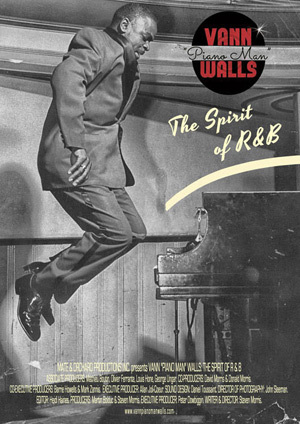 Vann "Piano Man" Walls: The Spirit of R&B is a film for anyone curious about the origins of Rhythm and Blues. Vann "Piano Man" Walls was one of its pioneers. We follow Vann, and several of his peers, including musicians Dr. John, (Buena Vista Social Club producer) Ry Cooder, Ruth Brown, Atlantic Records founder Ahmet Ertegun, legendary record producer Jerry Wexler and more as we wade through his adventure of musical history and performance. From New York City to Montreal the viewer takes an intimate voyage into the studio as Vann produces the final album of a career that spanned more than 65 years. Wrapped around this recording project is the story of his fascinating life and his lasting contribution to a musical form now heard all over the world.